You’ve decided to make the switch to a propane heater, which is a great choice. 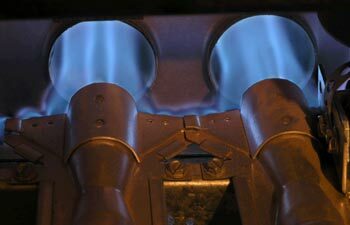 A propane heater is cheaper than gas or a wood-burning fireplace, and burns clean. It’s non-toxic, and doesn’t harm the environment. It is safer to have in your home than natural gas because of its high burning point (it has to be much hotter to light propane than gas, making for fewer accidents). There are two factors in defining how many BTUs you need. The first is the size of your home, and the second is the climate zone you live in. Obviously it takes more energy to heat a larger home than a smaller one, and a home in a cooler area of the country requires more energy to heat than one in a warmer region. The formula is straight-forward: Start with the square footage of your home. Next, refer to this reference guide and match up your square footage and climate zone. For instance, say you have a 1500 square foot home in North Dakota. North Dakota is a Zone 5 climate. That’s 50 to 55 BTUs per square foot. 1500 (for square footage) x 50 = 75,000 BTUs to heat your home. If you are looking for a smaller propane heater to heat a separate area of your home, then the same principles apply. Simply plug in the square footage of the desired room or rooms to be heated.